Hi, I was in need of a card for my Dad for his birthday but I was lacking any sort of inspiration. I turned to the catalogue and the True Gentleman suite seemed to be a perfect choice in terms of colours, patterns and sentiments. There was one card which just jumped off the page at me. I knew I had to try and re-create it! 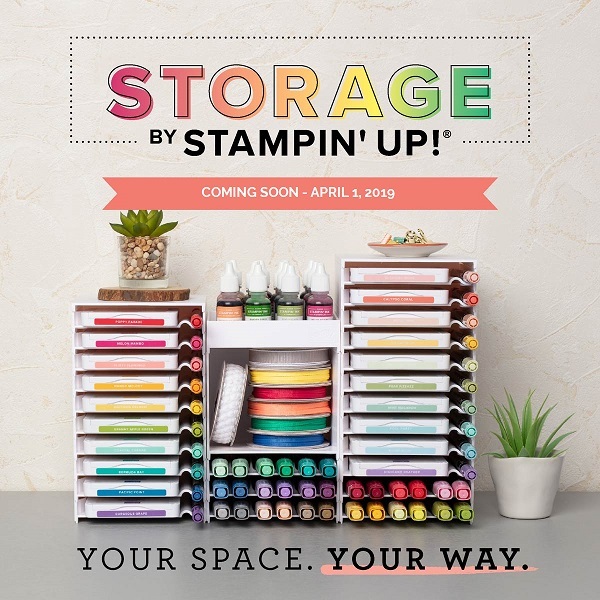 (Remember, you are welcome to use the catalogue, and other cardmakers, for inspiration. Just remember to give credit where it is due, especially when posting online). The hardest thing about this card was stamping the triangular image in a straight line on the Tranquil Tide cardstock (under the sentiment). I did try using my stamp-a-ma-jig but I still seemed to get it a little cattywampus. I can’t wait for the Stamparatus! This tool will really assist in stamping things in a straight line! 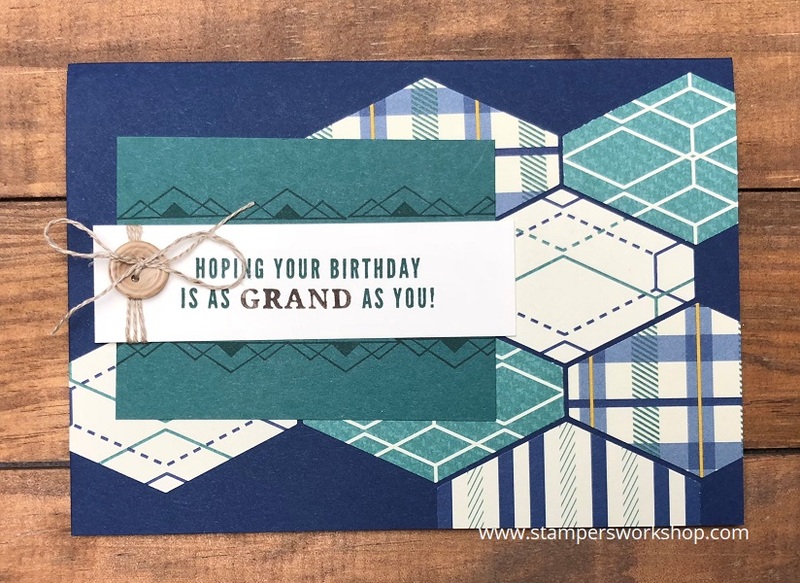 To create the card, I simply punched out a selection of different patterned papers from the True Gentleman Designer Series Paper stack and adhered them along a Night of Navy card base. Next I layered the stamped Tranquil Tide panel and finally, the stamped greeting (from the Truly Tailored stamp set) which was tied with linen thread and a lovely button (from the True Gentleman Buttons pack) was the final touch. There are so many things I like about this card! One of the main things is that you could easily use a different colour palette and sentiment and it would be perfect for any occasion. Don’t forget when purchased as a bundle you can save 10% on the stamp set and the punch. The stamps come in both wood-mount and clear-mount. Oh, and in case you were wondering, my Dad loved the card! 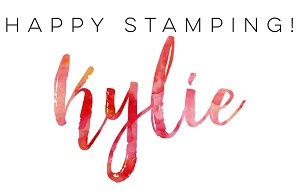 Thank you, Stampin’ Up!